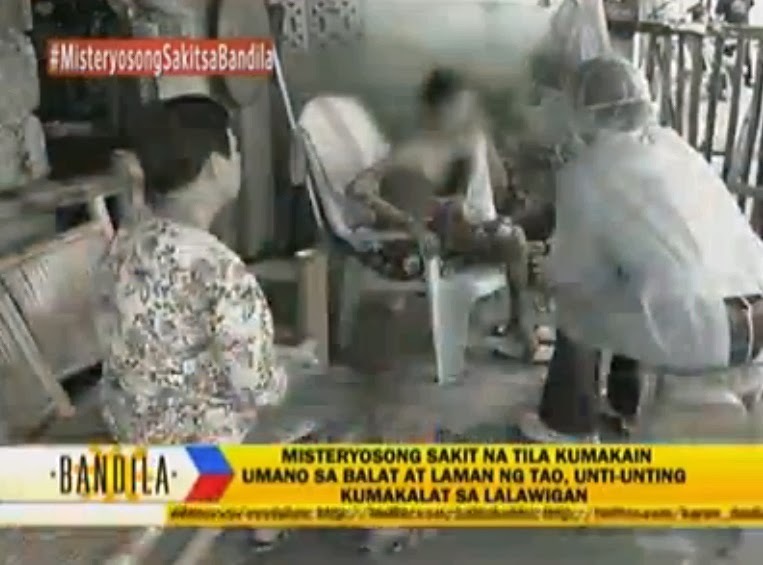 Bandila during its Monday broadcast aired a report on two alleged cases of a flesh-eating disease in the province of Pangasinan. What would've been a medical mystery filled with anecdotal evidences was dispelled as a hoax by Pangasinan provincial health officer Dr. Anna De Guzman Tuesday. “There is no truth to a rumor that a flesh-eating disease is spreading in the province,” De Guzman told Philippine Daily Inquirer. She clarified that the first patient is suffering from a drug reaction, while the other is ailed with psoriasis. She also added that it has no connection to a prophecy by an Indian prophet. “Sometimes, the media attempts to exaggerate to make the news sensational… They just want to connect it to the prophecy,” she said. The report caused quite a stir on social media, and the backlash from netizens and bloggers was fast and brutal with some even using the hashtags #PrayforABSCBN and #Prayforresponsiblejournalism. Some netizens were also quick to point out the panic and fear imbued by the "sensationalized reporting." Last night, there was no mention of the second part of Romero's report as what was teased by anchor Julius Babao during Monday's broadcast. Ano nga ba ang sakit na ito at may kaugnayan nga ba ito sa isang propesiya? Ano nga ba ang masasabi ng mga doktor dito at maging ng simbahang katolika? Abangan bukas ang part two ng special report ni Jasmin Romero dito lang sa Bandila. Instead, Aldrin Soriano filed a report on the findings made by health officials on Tuesday. Babao also made a clarification on the program, saying, "Hindi po intensyon ng programang ito na manakot kundi ilahad lamang ang nakalap namin impormasyon para mabigyan nang karampatang aksyon ng mga kinauukulan."